31 December 2018 - Explore Ayurveda Physician / Full/ Part-Time Specialists / Senior Resident / Homeopathy Physician jobs in Indore with 4 years experience via ESIC Madhya Pradesh. Register here to apply online for similar kind of Ayurveda Physician / Full/ Part-Time Specialists / Senior Resident / Homeopathy Physician jobs. Emoluments : As per Central Govt. 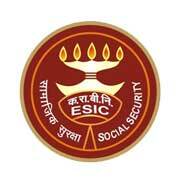 Employee Pay & Adopted by ESIC. Age Limit : Age not exceeding 37 (Thirty Seven) years as on date 14-01-2019 Reservation for SC/ST/OBC/PW D/ Exserviceman will be as per rules. Part Time Specialist:- i) Rs 40,000/- per month for two hour session per day x five days in week. ii) For extra session of two hours- Rs. 1000/- iii) On giving undertaking to be available for emergency call duty after the schedule timings – Rs 8000/- per month. Full Time Specialist- Age not exceeding 45 years as on date 14- 01-2019 for Full Time Specialist Upper age limit is relaxable upto 5(five) years for SC/ST, 3(Three) years for OBC candidates and relaxation as per rules for ExServiceman/PWD. Age Limit : Age not exceeding 30 years as on date 14-01-2019 and relaxation as per rules for Ex-Serviceman/PWD. No. of Post : 01 (UR) on part time basis for 39 days extendable by another 39 days. The eligible and desirous doctors fulfilling the educational qualifications/eligibility conditions should submit their applications along with one set of self attested copies of relevant documents in support of age, qualifications, attempt certificate, Mark-sheet, Degree, MCI or State Registration(s),SC/ST/OBC/PH – certificate & experience certificate etc. and 2(two) recent passport size photographs. The candidate who is currently in the employment must bring experience certificate (working certificate) and No Objection certificate (NOC) from the present employer, failing which his/her candidature will be liable to rejection. The interview(s) scheduled from 14th January to 17th January 2019 (after the scrutiny of applications on same date, the eligible candidate’s interview will only be taken). Candidate should report in the Conference Hall (Room No. 1) situated at Ground Floor of ESIC Model Hospital, Nanda Nagar, Indore from 9. 15 A.M. to 11.00 A.M. on the stipulated dates. Candidates reporting after 11.00 A.M. will not be entertained for Walk-In-Interview.